As a tall woman, it may seem that 36" inseam pants are a challenge to find, but to be honest, they are all around. You just need to go online. Here, I've chosen some great examples of the long length fashions you're looking for. You can see those below. For a list of my favorite places to shop for 36" inseams, scroll on down. When I was researching tall stores, I was pleasantly surprised by how many shops there really are that sell this length. I bet you will be too. Have fun browsing the online racks! TALL TIP: For the most 36" inseam pants options, try Long Tall Sally. They have a huge collection! And, get free shipping on orders of $30 or more ! American Eagle - $ | up to 36" inseam | Casual apparel targeting the younger crowd. Offers tall girls 34" to 36" inseam pants and jeans. Choose your length in the Sizes drop-down menu. Also has longer length juniors tops. Shop online or at retail locations. Banana Republic - $$ | 36" inseam | Fashionable, contemporary businesswear and apparel. Wide variety of long size 36" inseam pants and jeans. Also offers tops, dress shirts, sweaters, dresses, skirts, suits, and professional jackets in tall ladies sizes. Select the Women's Tall category to view all tall clothing. Shop online or at retail locations. Couture Candy - $$$$ | up to 36" inseam | Designer clothing. Top brand names in up to 36" inseam pants and jeans. To find tall sizes, search for your inseam in the search box on the site (ex. '35 inseam'). Dorothy Perkins - $ | 36" inseam | Jeans, pants, and trousers in 91 cm inseams (approximately 36" inseams). Also offers tops, dresses, and maternity in longer proportions. See the Tall Clothing section. Shop online or at retail locations. Based in the U.K.
Eddie Bauer - $$ | 36" inseam | Casual and outdoor styles as well as professional businesswear. Most of the entire women's collection including jeans, pants, tops, dress shirts, sweaters, dresses, skirts, suits, outerwear, sleepwear, and swimwear are available in tall. Ladies pants and denim have inseams of 36". Plus sizes available. Shop online or at retail locations. Gap - $$ | up to 38" inseam | Fashionable, trendy apparel. 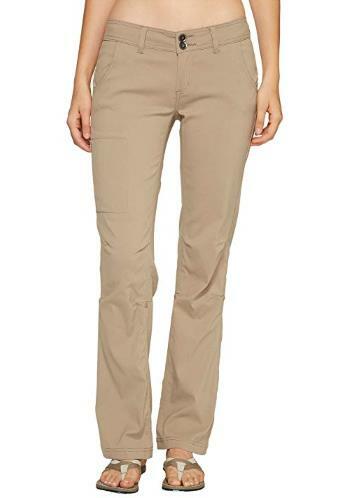 Variety of long size jeans, pants, and khakis in up to 37" inseams with select styles in 38" inseams. Also offers tops, tees, tanks, blouses, sweaters, dresses, skirts, coats, jackets, and maternity in tall sizes. Select the Women's Tall option to view all tall clothing. Shop online or at retail locations. JCPenney - $ | up to 37.5" | Fashionable, classic-style clothing. Tall and ultra-tall size jeans and casual and dress pants in up to 37.5" inseams. Also offers tops, sweaters, skirts, capris, suits, jackets, businesswear, activewear, sleepwear, swimwear, and maternity in tall sizes. Select the Talls option under Women's apparel to view collection. Extended sizes available. Shop online or at retail locations. J.Crew - $$ | up to 36" inseam | Fashionable, contemporary apparel. Long length 36" inseam pants and jeans with a select few in 35" inseams. Also offers tops, jackets, suits, sleepwear, and swimwear in tall sizes. Select the Tall option under Special Sizes in Women's apparel. Shop online or at retail locations. Land's End - $ | up to 36" inseam | Classic, casual style. Up to 36" inseam pants and jeans. Free cuffing and hemming available on select items. Also offers tall ladies sizes in tops and swimwear. Select Tall option in Size Range drop-down menu in Women's section. Extended sizes available. Also in the U.K.
Long Tall Sally - $$ | up to 38" inseam | Specializes in clothes for tall women. Tall jeans and pants in 34" to 38" inseams, including flare, boot-cut, and skinny styles. Also offers women's tall clothing such as tops, sweaters, dresses, skirts, suits, coats, activewear, sleepwear, swimwear, and maternity. Extended sizes available. Shop online or at retail locations. Based in the U.K. Also in the U.S. and Canada. Lucy - $$ | up to 36" inseam | Athletic clothing for the active woman. 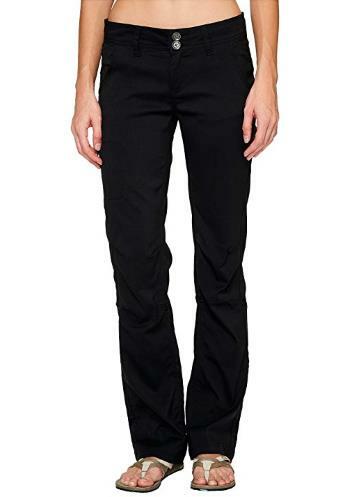 Tall ladies 34" and 36" inseam pants, including training and yoga pants. See Pants in Lengths section in the Bottoms category. Old Navy - $ | up to 36" inseam | Casual apparel targeting the younger crowd. Offers girls 34" and 36" inseam pants and jeans and pants. Shop by inseam. Also has inexpensive tops, tees, tanks, dresses, skirts, shorts, jackets, activewear, and maternity in tall sizes. Extended sizes available. Shop online or at retail locations. Simply Tall - $$ | up to 39" inseam | Specializes in clothes for tall women. Sophisticated, classic style. Long ladies jeans and pants in 36" to 39" inseams. Also offers tops, jackets, activewear, and businesswear in long proportions. Plus sizes available. Soft Surroundings - $$ | up to 36" inseam | Comfortable, casual clothing. Up to 36" inseam pants and jeans. Also offers tops, dresses, skirts, sleepwear, and robes in tall sizes. For each clothing category, select Tall in the Narrow By Size drop-down menu. Extended sizes available. Soft Surroundings Outlet - $ | up to 36" inseam | Comfortable, casual clothing. Discounted pricing on clothing from Soft Surroundings (see above). Limited sizes available. For each clothing category, select Tall in the Narrow By Size drop-down menu. Extended sizes available. Torrid - $$ | up to 36" inseam | Tall plus size clothing to size 28. Find plus size tall 34" and 36" inseam pants and jeans. Boot-cut, flared, and plus size skinny jeans styles. See product titles for length in the Denim or Pants sections.